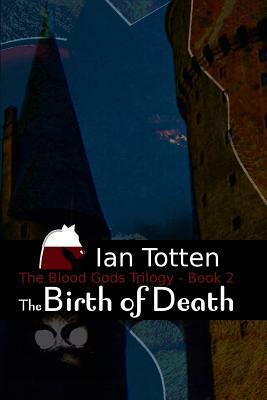 Book 2 in the Blood Gods Trilogy Christopher Von Calistein knew that if he was to defeat the usurper Wendell he would have to look to his past for guidance, a nagging voice in the back of his mind insisted it was so. Using a spell taught to him long ago he watched as the world around him was consumed by a plague mankind was unprepared for. Saw the young woman he had fallen in love with named Aurora grieve his passing, unmindful that he yet lived in undeath. Turned by the shadowy figure called The Beast who had haunted their every step . He felt the joy course through his body again as he watched his past self stalk his family one by one, changing them to be as he was. Then the real horror had begun as Christopher realized that to save his new race they must lead an army of those they preyed upon against the humans who had started it all. For the former rulers of the world had discovered a way to destroy their creations in the form of a being trapped inside an ancient mausoleum whose blood is the stuff of life and death, and whose existence Christopher had never suspected could be the key to destroying Wendall and his undead empire. Another story that grabs you from the first page and keeps you reading to the last. I found the entire story fascinating which is just what an origin story should be. It should not only walk you through the entire backstory but make you eager to jump back to the current time to see what's going to happen next. I'm going to get nitpicky simply because there isn't a whole lot that I didn't like. There were some grammatical errors but most likely not enough that it would pull the average reader away from the story. Other than that, well, it's violent and if you have a vivid imagination, gory. That really isn't surprising though for a book about vampires, right? All in all, another really good book by Ian Totten. I have the third book in the series and I'm already looking forward to breaking out my ancient Kindle and giving it a read!